This short programme aims to raise the awareness of mental health amongst health care staff. It is designed to give a broad overview of what encompasses mental illness, the link between mental and physical health diagnoses and outline some possible treatment options. These sessions provide all staff working within health care with some general strategies to help support individuals who are worried about their mental health, and advice about where to find extra support. 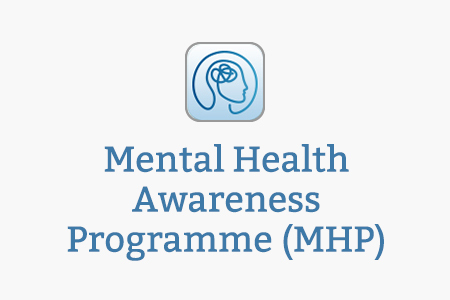 The Mental Health Awareness Programme is a collation of several small projects, focusing on different disciplines that all deal with mental health every day. Click each section header for further information on each project. The Department of Health mandated Health Education England (HEE) to develop an e-learning resource in the field of Perinatal Mental Health. HEE has developed a set of five 20 to 30 minute e-learning sessions. The sessions assume no prior knowledge of perinatal psychiatry and are designed to be accessed by any health care professional that has contact with a mother or baby from the period prior to conception until the child is 1 year of age. All content is referenced and the learner is signposted to additional detailed learning resources for more advanced learning. The content and structure of the sessions were formally agreed during a stakeholder consultation exercise in May 2015. This included input from several medical royal colleges including the RCN, RCGP, RCOG and RCPsych amongst others. The sessions commence with 2 introductory sessions, which provide a broad overview of the topic and essential learning points for all health professionals. The 3 subsequent sessions focus on different stages in a mother’s journey – the pregnancy, birth and the first year of a child’s life. The subsequent sessions contain more detailed advice, which may be of more interest to particular professional groups, for example, obstetricians may choose to complete session 4 on labour and the immediate post-partum. The Department of Health mandated Health Education England (HEE) to develop an e-learning resource in the field of Mental Health Awareness in Emergency Medicine. HEE has developed a set of four 20 to 30 minute e-learning sessions. 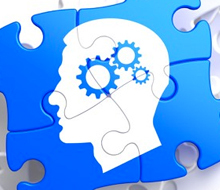 The sessions assume no prior knowledge of mental health within emergency medicine and are designed to be accessed by anyone involved in this discipline. The four sessions will include ‘Suicide and Self-harm’, ‘Assessment and Management of Violent Behaviour in Emergency Department: Post-assessment’, ‘Abscond and Treatment Refusal’ and Personality Disorder. The Department of Health mandated Health Education England (HEE) to develop bespoke e-learning mental health learning resources for the Primary Care workforce. HEE has developed a set of four 20 to 30 minute e-learning sessions. The sessions presume very little prior knowledge of psychiatry and are designed to be accessed by GPs, Primary Care nurses and other Primary Care based health professionals. The content and structure of the sessions was designed in collaboration with the RCGP; based upon the identified learning needs of their members. The session topics include Self-Harm, Psychological Therapies, Physical Health Care for Mental Health Patients and Medically Unexplained Symptoms. The successful collaboration between the Barnet, Enfield and Haringey Mental Health Trust, its partner CCGs and the many GP practices that have hosted the training is now expanding to include e-learning. In an important joint project with Health Education England’s (HEE) e-Learning for Healthcare programme (e-LfH), Trust clinicians will develop a series of e-learning sessions to supplement the Academy’s face to face programme. The Academy’s e-learning will be offered nationally by e-LfH. With this expanded education programme the Academy aims to retain the local character of its programme at the same time as improving access to its learning. More GPs will be able to access the Academy training through the convenience and flexibility of e-learning. The same rigorous approach to the educational content that has helped make its face-to-face sessions successful will apply to the e-learning, through the Trust’s partnership with the leading public sector e-learning programme for the health service. If you already have an account with e-LfH, then you can enrol on to the Mental Health Awareness Programme by logging in to the e-LfH Hub, selecting My Account > Enrolment and selecting the programme. You can then access the programme immediately in the My e-Learning section. The Mental Health Awareness Programme is also available to NHS healthcare staff via the Electronic Staff Record (ESR). Accessing this e-Learning via ESR means that your completions will transfer with you throughout your NHS career.